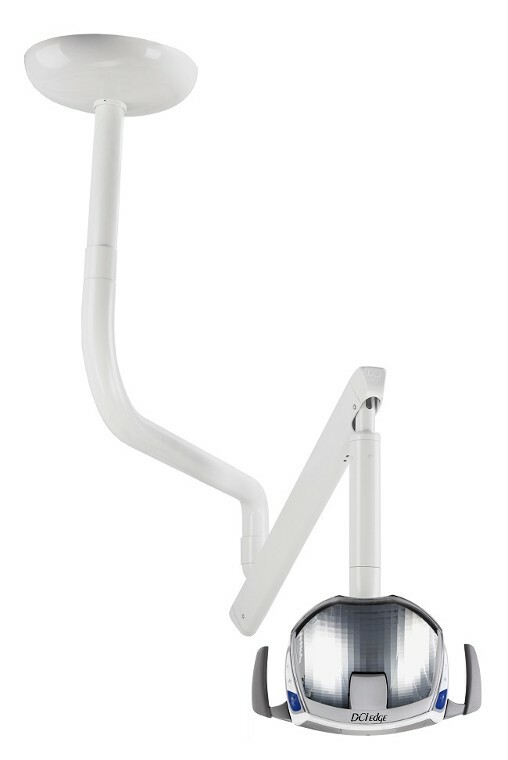 DCI’s heavy-duty metal structure and handle design along with high quality components demonstrate a strong commitment to building the highest quality dental equipment. Precise Illumination: prevents patient glare. Cool running: LED technology eliminates heat output, maximizing patient and operator comfort. Energy Efficiency: Requires 80% less power compared to traditional dental lights. Longer Bulb Life = Significant Savings: on Replacement Bulbs: 10-15 year expected life vs annual replacement. 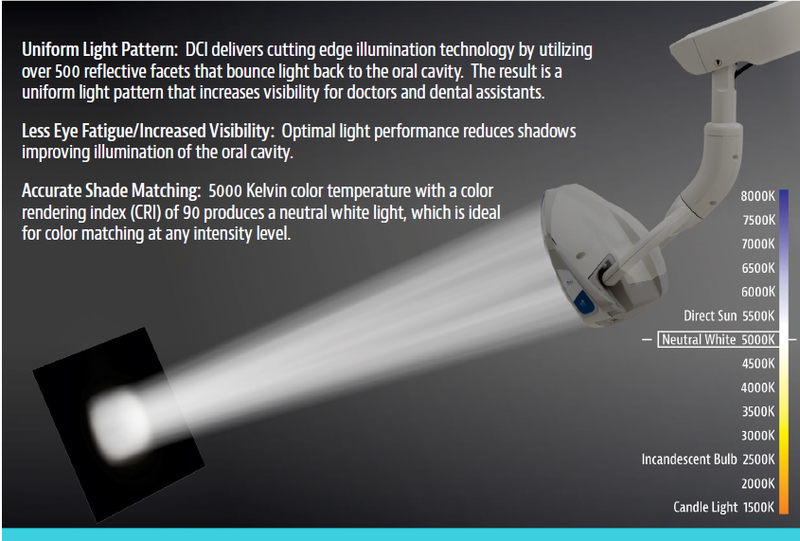 Uniform Light Pattern: DCI delivers cutting edge illumination technology by utilizing over 500 reflective facets that bounce light back to the oral cavity. The result is a uniform light pattern that increases visibility for doctors and dental assistants. Less Eye Fatigue/Increased Visibility: Optimal light performance reduces shadows improving illumination of the oral cavity. Accurate Shade Matching: 5000 Kelvin color temperature with a color rendering index (CRI) of 90 produces a neutral white light, which is ideal for color matching at any intensity level.